Electric utility companies are in the process of installing smart meters at all of their customer locations, which are making thousands of their customers sick. These meters emit microwave radiation in the 900+ megahertz frequency band, which is known to cause weakness, fatigue, sleep disturbances, heart palpitations, ringing in the ears, pain, and immune system disruption. These smart meters broadcast intense bursts of microwave radiation through the air many times per minute, 24-hours a day. The nationwide installation of smart meters is like a time bomb ticking, because the harmful effects are cumulative -- it can take 5 or 10 years of exposure to evoke a life-threatening illness. 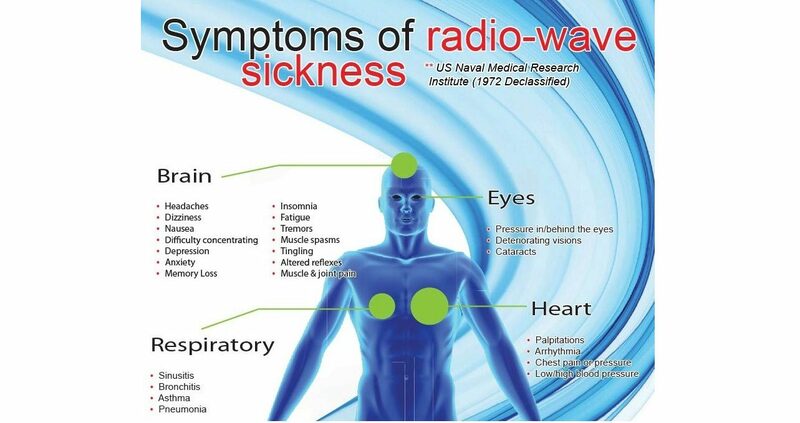 At some point, it will not be thousands who suffer from electromagnetic radiation sickness, but there will be an explosion of illness. There will be millions of people who are experiencing chronic disability and fatal illness from exposure that spanned many decades. The current epidemics of cancer, heart disease, diabetes and even autism will intensify until very few of us will be able to escape these devastating illnesses. Others will suffer for decades with chronic fatigue, unexplained anxiety, and attention deficits until a life-threatening illness makes its ugly appearance. It is estimated that 80% of modern chronic illnesses are caused by or influenced by long-term exposure to sources of electromagnetic radiation such as cell phones, cell towers, Wi-Fi routers, baby monitors, cordless phone base stations, Bluetooth devices, smart meters, and dozens of other wireless devices that are used every day by Americans. By far, smart meters are the worst offenders in this list. The combined electromagnetic radiation from these devices is evoking modern illnesses and disabling us at a level that has never been seen before, because these levels of exposure have never been experienced by human beings before.